One of my goals this year, before injury, was to get my older monkeys running. They are naturally outdoorsy and always full of energy that needs burning off for a happier and more peaceful life. The plan was Junior-Parkrun. Every Sunday, 9am an organised 2k run in a park a short drive from our house. Despite some initial teething problems and a broken bone or two, one of my monkeys has achieved his first milestone. He of course doesn’t understand so has been keeping me and Little Miss company in the Play park at the finish line. I won’t push it because a love of exercise doesn’t come from force. I know this because school cross country destroyed any love I might have had. He’ll be back soon. Before the broken arm he ran a personal best time of 13 minutes 40 seconds and had the confidence to leave his dads side and run off ahead. I was one proud running Mummy that week. In fact I am proud every week either of them run. Joined by my sister and her eldest (Top Niece) most weeks, they love seeing each other. The atmosphere is static. The speed of the older kids blows me away every time. Everything from the marshals to the parents support is wonderful. 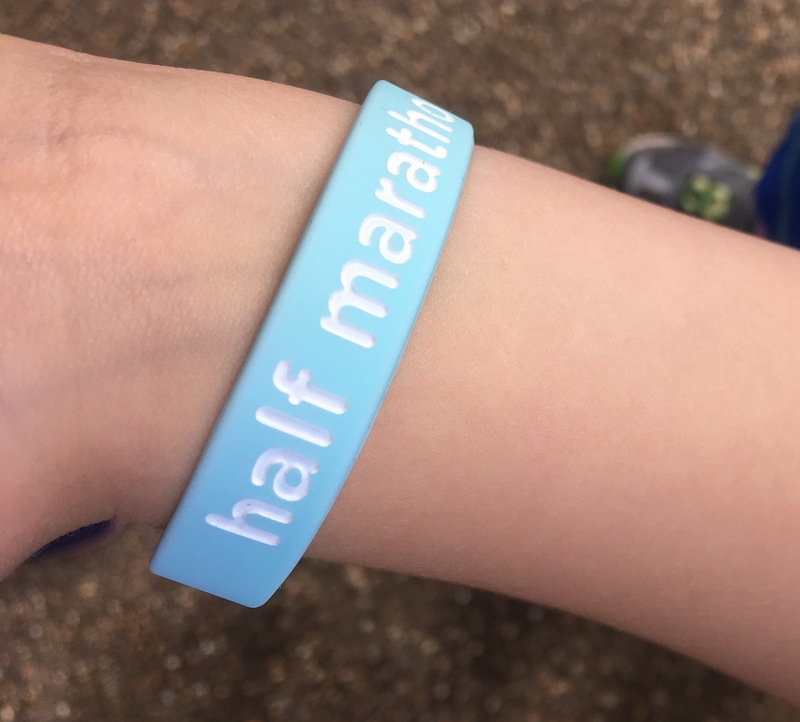 At the start of our Junior-Parkrun adventure eleven races felt like a long time to keep the monkeys motivated for a wrist band. In reality though it it was easy when you were with your cousins. There were a few incidents along the way. The odd trip and fall, a few minor injuries. We’ll never forget the nettle week when Top Monkey extended his route by detouring through the undergrowth at the side of the path. Only to emerge moments later with nettle stung ankles. Needless to say there was no PB that week. Despite it all however, Middle Monkey pushed through and happily collected his half marathon wristband on Sunday. First wristband secured, Middle Monkey is ready to start his challenge to get to his full marathon distance. After that an ultra marathon wristband. Top Niece and Top Monkey within touching distance of their first wristbands too. Despite all of my setbacks this year, I have achieved something quite special. Hopefully the foundation of running that Junior-Parkrun provides will give them a spring board to other things. If not it will live in them and provide a great sport to rely on for good all round health. All credit to my sister and Mr LMR for running each week with the monkeys, encouraging, tending wounds finding dock leaves for nettle stings. One day I hope to run with them too but right now I am happily bursting with pride on the finish line cheering them all in. ← Sometimes it is ok to shout STOP The Monkey Train!!! Hurray! Well done team. 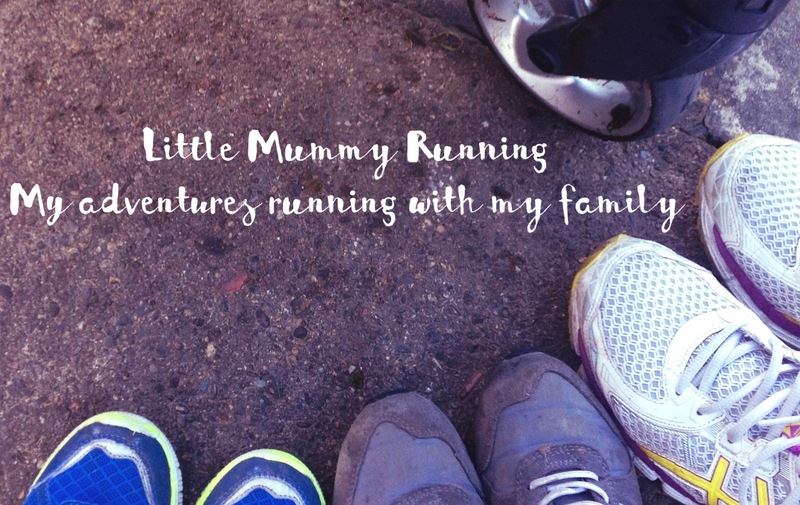 Parkrun is such a wonderful way to introduce children to running for fun and health. Look at that big excited smile in the photo!!! Juliet McGrattan recently posted…Fearless in Minneapolis… next stop… London!